Before I start I need to say a massive thanks to Ari and James from Excalibur Games for allowing me to take a brief look at a preview build of the game. Resort Boss: Golf is an upcoming management game from developer Gus Martin and published by Excalibur. The game is scheduled for release on February 14th this year, some older promo content shows a slightly earlier date of 7th February, but the world of game development being what it is, the decision was made recently to push that release date slightly. 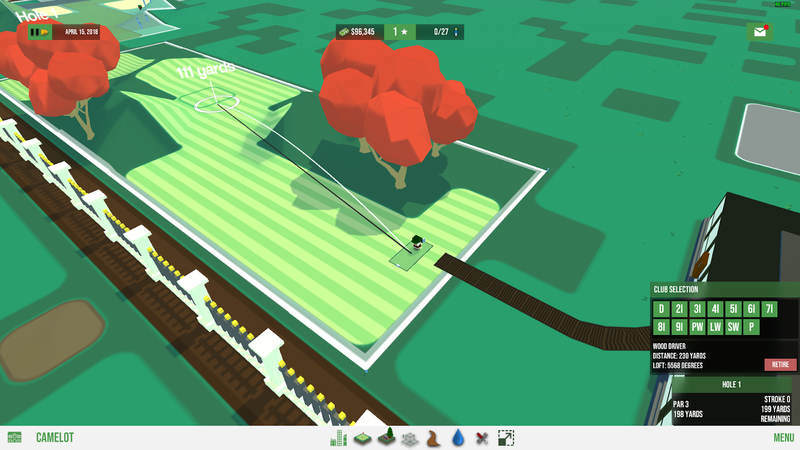 Born out of a love of Sid Meier's Sim Golf, and the frustrations of getting the game to run on modern hardware, the game sees you take on the role of manager at a brand new golf course. 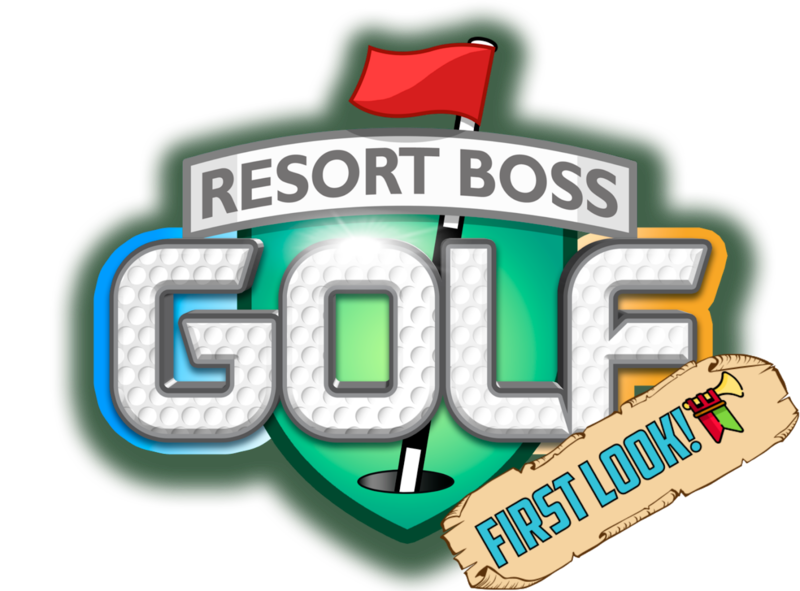 Starting with only a small patch of land and a parking lot, you need to develop your course, and associated resort, to attract new players and keep those books balanced. Planning out our fist hole while the clubhouse gets built. Once that is organised, and being built by your staff, you will want to design the first hole of your course. To make a hole you need to first place the tee and select where the hole will be, before customising your layout - no-one wants to play golf on a flat, straight course. There are a variety of options available to you when designing your holes. Using the grid you decide what areas will be your fairways, roughs and greens and can then adjust the difficulty of your course. You can do this by adding hazards, such as ponds or bunkers, or by raising and lowering the terrain. Once you are happy, you can send your staff to do the landscaping. You can also add decor items to your resort, currently only trees but other decoration and furniture items are planned. Now it's time to play our first hole! Be careful to choose the right club. Once you are happy with the layout, it's time to test it out! 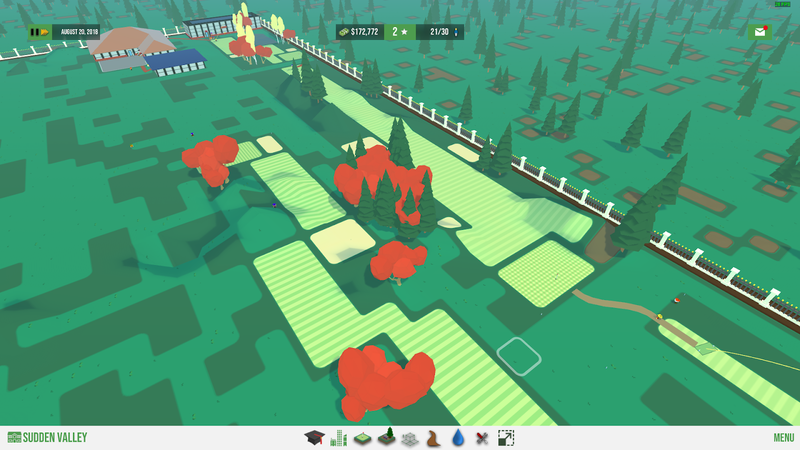 That's right, you are actually able to play the courses you have built (unfortunately you can't share these to the Steam Workshop to challenge your friends, yet). This is a good way to test out whether you course is playable, you don't want the golfers to spend so long on a hole that you end up with a queue! I found this element to be more fun that I had expected. I thought that you would enter the play mode and it would just be clicking the mouse with a single club. Once your golfer has arrived at the tee, you are presented with a golf bag of sorts, allowing you to select from a number of woods, irons, wedges etc. Unfortunately rather than just aiming and clicking there isn't a skill meter of any sort, but possibly this is something the devs could add to bring another depth. 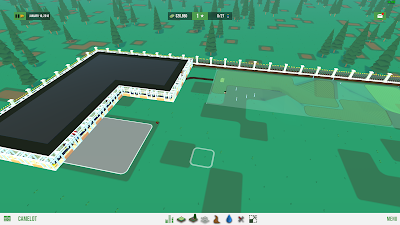 As people visit your resort and you gain reputation and money, you will be able to build your resort up nearer to that elusive 5 stars. Along the way you will need to meet the need and desires of your patrons. Sometimes this will be fairly obvious, such as needing to build holes to improve your course, others not so much. To help you decide what to do, there is a messaging system in the game. How this will work fully I'm not sure as the preview build had a lot of these messages due to the nature of the stage of development, but they will have requests for specific holes and facilities. such as the pro shop and paths between the holes. The game currently has tow options when you first start the game, either you can play through the tutorial, or can dive straight into a new game. The latter acts as a 'sandbox' in that there are no set objectives, you can set the starting size of your resort and have a large amount of cash. I would recommend playing through the tutorial at least the first time you play. As happens with many of these games, whilst the tutorial is there, I found a couple of points where I had some difficulty, particularly with the water tool which could use some further explanations. 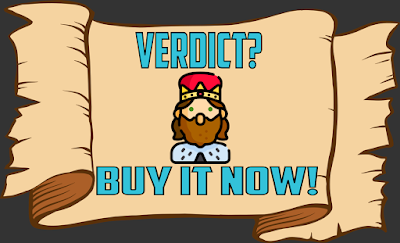 Overall I have enjoyed playing this and would certainly recommend buying it. It may be a bit rough around the edges with things like UI scaling or some QoL things such as the exit button being a quit to desktop currently (although I have been advised these have been addressed), but having spoken with the developer there is a clear plan that Early Access will be used as a tool to gain more feedback and help the game to be shaped through its' development by players with a strong interest in the game. I have seen a few comments by people regarding the art style, as you can probably see from the content I cover, this low poly style is something that I love, and I feel has been done really well here, the only thing I wish was the the buildings looked different to differentiate them from each other a bit. The game will release on Steam on 14th February, although can be pre-ordered from the Excalibur website for £10.99 which I feel is a fair price for a game which is clearly early into its development life. As I mentioned, this was a special preview build so a fuller review will come later into the Early Access cycle. If you enjoy my content, please consider becoming a Patron giving you access to exclusive roles and channels in the Discord server. Also please follow me on Twitter for updates about articles and games I am following.